Free concerts on the grounds of St. Christopher's Episcopal Church. The best in local bands live on the lawn! Every Thursday night at 6pm from April 25th through June 13th!! 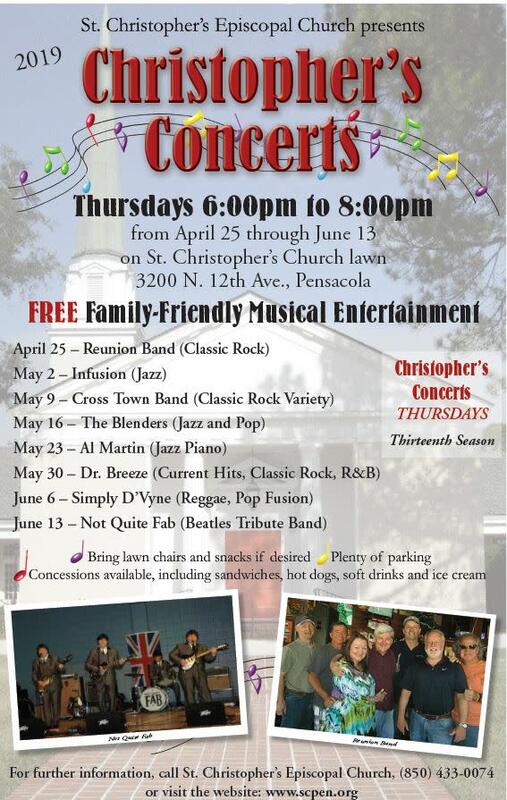 Bring your lawn chairs and join us for Christopher's Concerts! Concessions available, but you are welcome to bring your own food and drink!